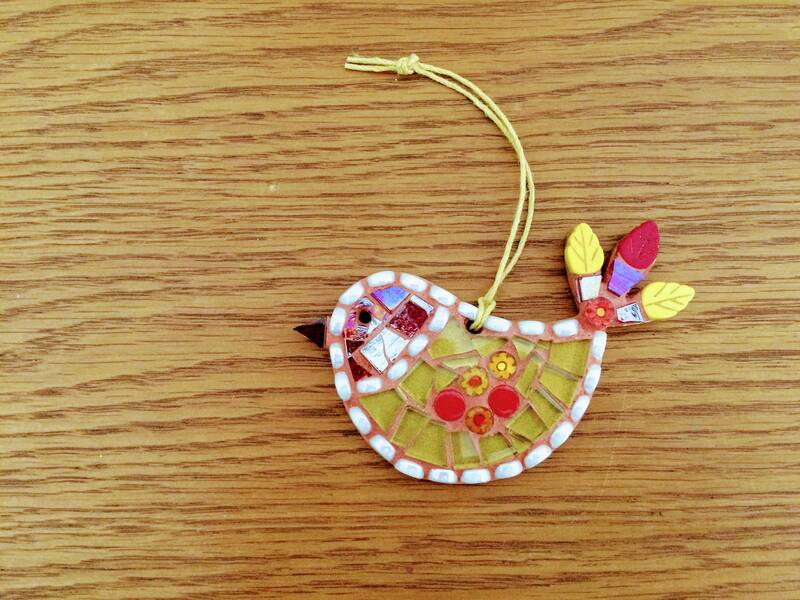 Pretty handmade hanging bird ornament with different shades of red and gold glass tiles- iridescent sicis glass and murrini glass tiles which all catch the light in different ways which makes the piece really shimmer and shine. 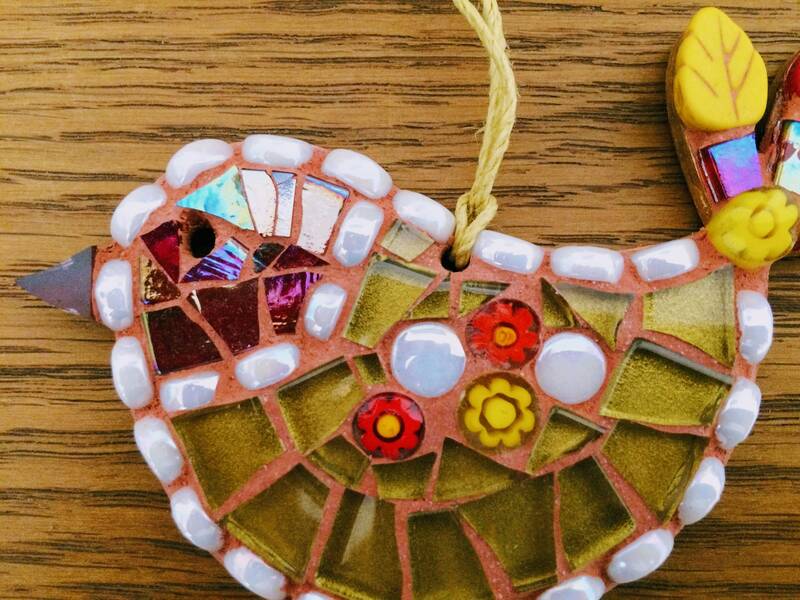 Millifiori and glass leaf beads form the wing and tail. 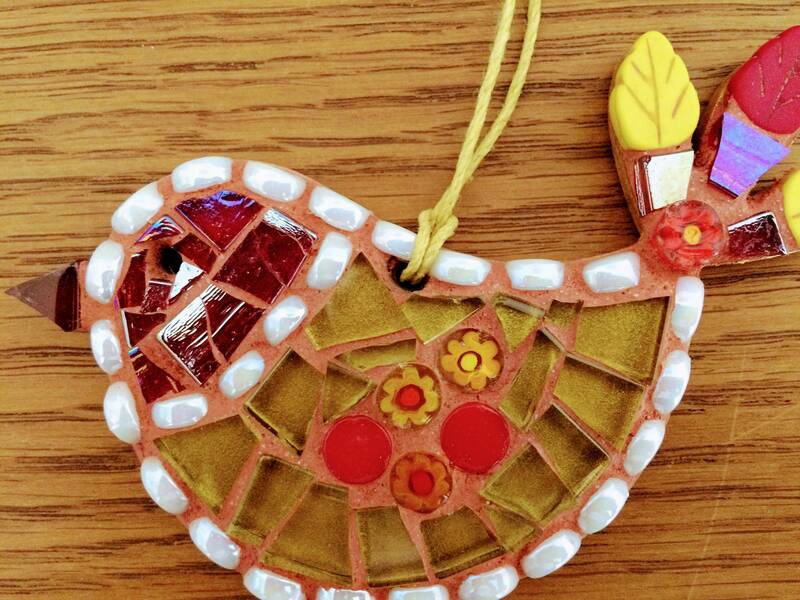 Made with hand cut glass tiles and a millifiori which are glued onto a birchwood bird template, then grouted in terracotta. 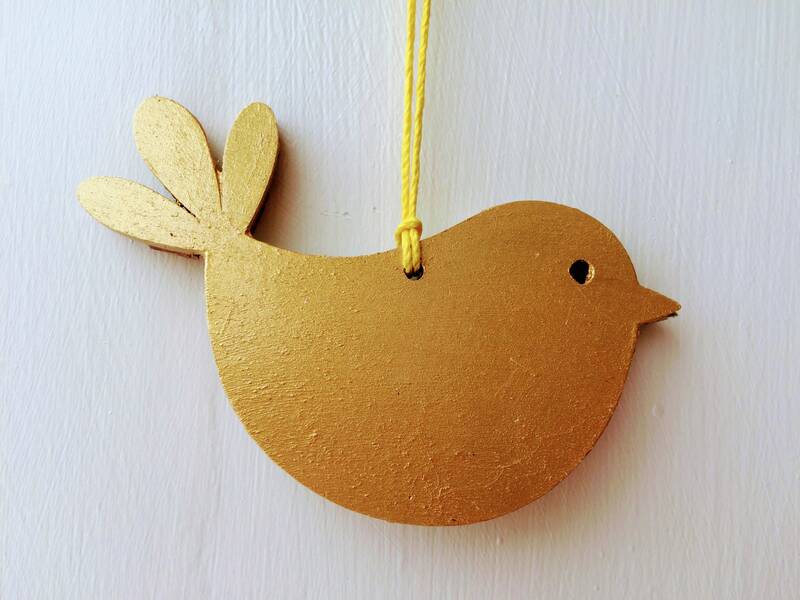 The back is painted gold and varnished.